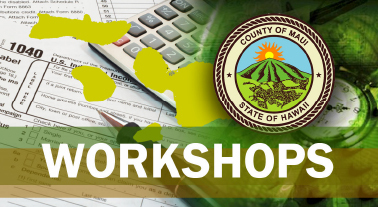 The Maui County Business Resource Center released a list of workshops scheduled in February that are open to the general public. The workshops are offered through the Mayor’s Office of Economic Development and are free unless otherwise noted. 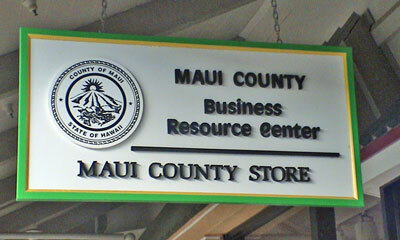 All workshops are held at the Maui County Business Resource Center in Maui Mall. Workshops are subject to change or cancellation. Reservations can be made by calling (808) 873-8247.
Business on the Grill with Maui Business Brainstormers: Tuesday, Feb. 11, 2014, 12 to 1:30 p.m. The monthly meeting is designed to discuss, share and learn subjects related to staring, running and growing your business. Featured segments include the following: (1) Get to Know Your Neighbor: An opportunity to interact with new faces and strengthen your abilities to socialize with others in fast paced situations; (2) Business on the Grill: This segment creates a case study for mutual learning. 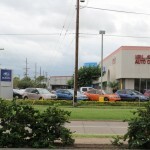 A MBB member submits own business to be grilled. To apply for this segment, the business must be in operation with sales and the need to grow, but facing challenges; and (3) Regular Brainstorming: Attendees have the opportunity to present a challenge they are experiencing in their own business for group ideas and suggestions. To attend, RSVP online at the direct following LINK. Non-members need to first join the free membership of MBB. Pinning for Profits, How to Use Pinterest for Business: Tuesday, Feb. 18, 2014, from 12 to 1:30 p.m., with instructor Danielle Miller. Learn how this social network can help you establish brand authority, reach a wider audience, and drive traffic to your site. Danielle Miller is a social media coach and founder of Miller Media Management. Business Branding with Online Marketing: Wednesday, Feb. 19, 2014, 12 to 1:30 p.m. with instructor Nicole Fisher. Participants with explore how to building thier brand across the social media platforms; learn how social media can translate into dollars; and explore eight questions to ask before you brand your business. Nicole Fisher is presently a Marketing Strategist, Social Media Consultant and Trainer. Starting a Business in Maui County: Friday, Feb. 21, 2014, from 12 to 1 p.m. with instructor Karen Arakawa. Participants will receive general information and learn about requirements for starting a business in Maui County. 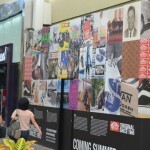 Handouts, website and other useful information will be provided. 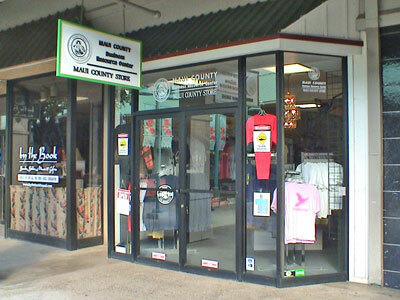 In addition, the requirements for a Maui County Vendor Business License will be covered. The Harry & Jeanette Weinberg Pono Center – How Can it Help Your Small Business: Tuesday, Feb. 25, 2014, from 12 to 1 p.m. with instructor Susie Thieman. What anyone in business or thinking of going into business should know about the Lokahi Pacific’s Pono Center including information on obtaining space for a training facility, conference room, office space or a commercial kitchen. Susie Thieman is the Executive Director of Lokahi Pacific. She will discuss options available at the Harry & Jeanette Weinberg Pono Center in Wailuku. This special evening workshop is provided at a $45 fee per session. “Quickbooks for Small Business”: Thursday, Feb. 27, 2014, from 5 to 8 p.m. with instructor Richard Kehoe, CPA. Participants will learn to set up their company’s QuickBooks in a small class setting with personalized tutoring. This class is for new users and will teach you how to record sales, receive payments, prepare invoices and balance your checkbook. Get customized answers and schedule a follow-up appointment at no cost to discuss solutions. Sponsored by SCORE (Service Corps of Retired Executives) and presented by Richard Kehoe, CPA and lead SCORE counselor. Free Counseling Sessions with Experienced SCORE Counselors: Nikki Baysa of the Hawaiʻi Health Connector will be at the Maui County Business Resource Center every Tuesday between 2 and 4 p.m., and Thursday from 1 to 4 p.m. during the months of February and March. During this time, she will help to enroll small business owners and sole proprietors into the program. Learn how to take advantage of the health insurance options available and find the plan that matches both your health and financial needs. For more information, visit: www.hawaiihealthconnector.com.